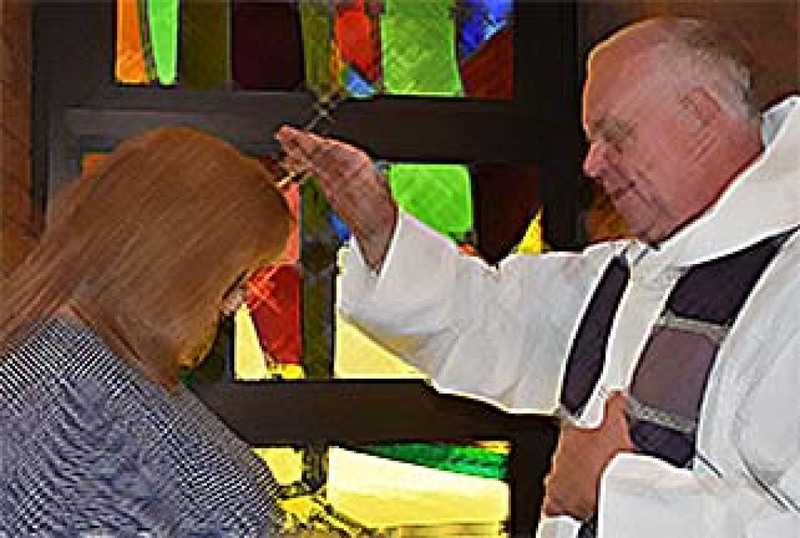 Welcome to the website of St. Bernard's Church in Levittown, New York! Whether you are a visitor checking us out, or a parish member looking for information, we hope that you will find what you are looking for here. We encourage you to explore, and to get to know our vibrant community of Faith, Hope and Love. Please feel free to call or e-mail us if we can be of any further help. 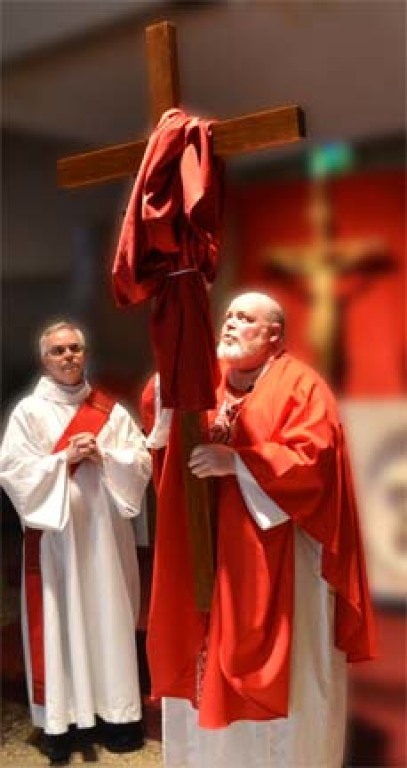 Altar (in gym) open til midnight for prayer visits. There's plenty of space there -- not too crowded. 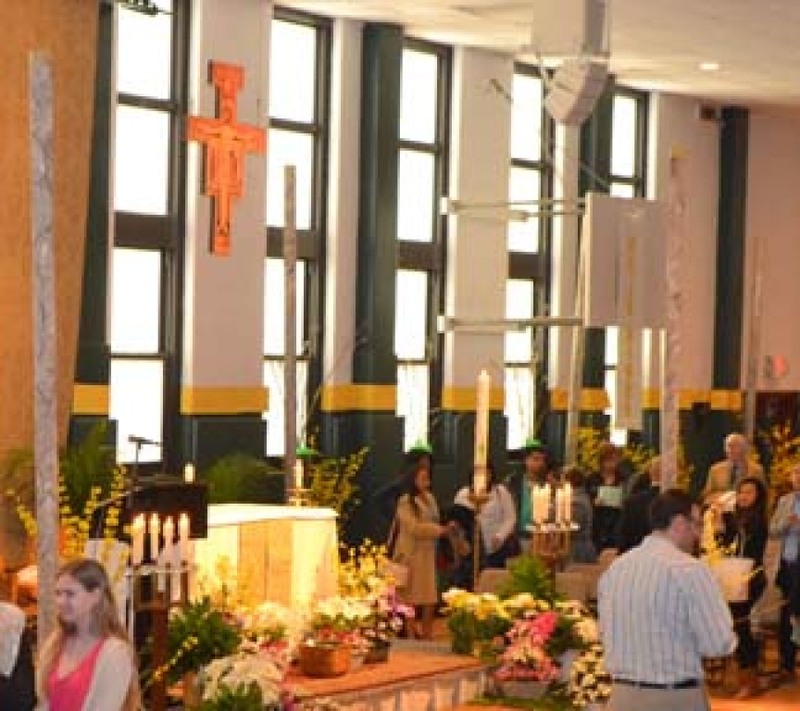 No evening Mass on Easter Sunday. 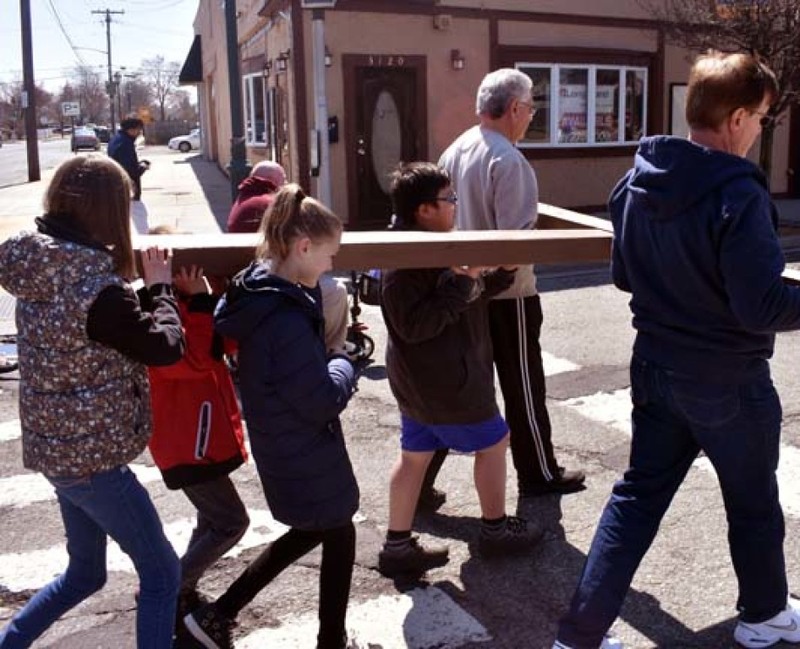 See photos from this year's Stations of the Cross Walk along Hempstead Turnpike. Click on Photo. 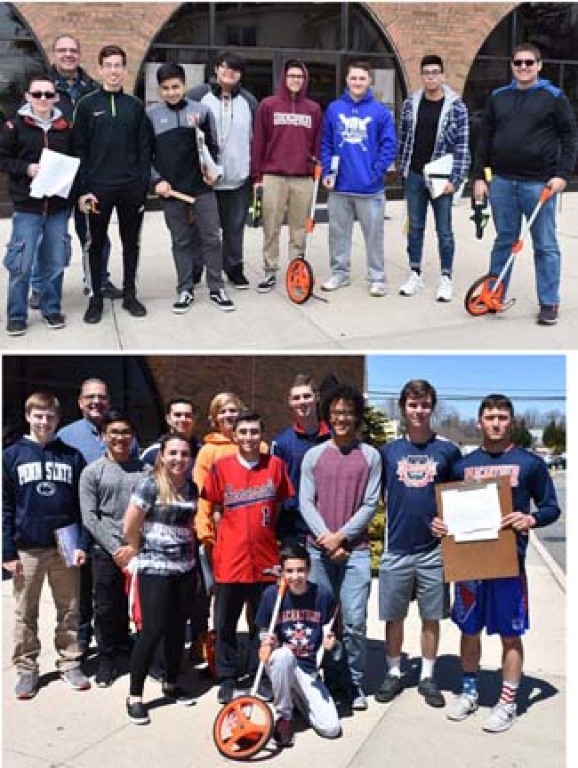 Students in Division Ave High School and MacArthur High School submitted designs for our new lobby. Thanks to everyone who came to their presentation after all the Masses on June 9th & 10th. Here's the first in our video series on why we're having a campaign to renovate the parish campus. Enjoy! We've started our already successful campaign to raise $1.75 Million (and beyond) to renovate the parish campus. Over 1.5 million dollars has already been contributed by 546 by the end of 2018. Eleven percent of parishioners have already provided 88 percent of our goal. Now it's time for the 89 percent to finish up the remain 12 percent to goal. Just CLICK HERE to make a donation online. 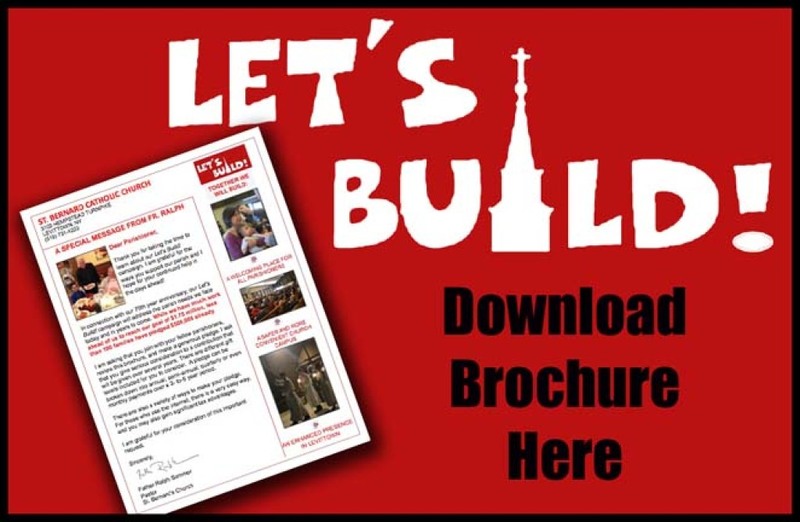 If you didn't receive our brochure in the mail, you can download it here. 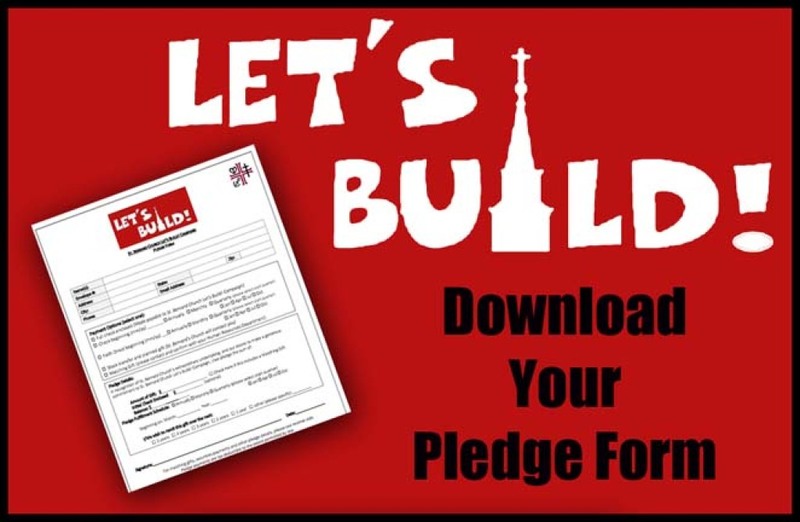 And when you're ready to pledge, you can download your pledge form here. Please consider a multi-year pledge so you can give more over time and help us go beyond our goal. If not, click here and help us update our records. Show your parish pride around Levittown and beyond by sporting an official Saint Bernard's t-shirt, hooded sweatshirt, polo shirt, or jacket. To make these affordable we're selling them at just a smidge over our cost and the good news is that you can now order and pay for them online with our secure PayPal account using PayPal or your own credit card. Visit our to see all that's available. When you stop in our office or attend different meetings you might see our new mobile sign up ipad where you can easily sign up to receive our weekly blog and important news by e-mail. It takes just a minute of your time. Or…do it right now by CLICKING HERE. 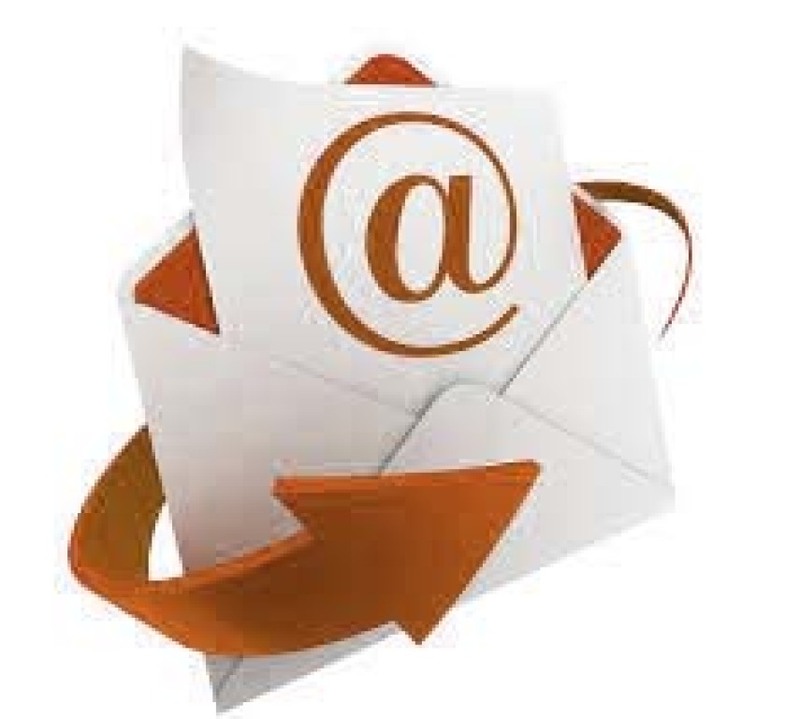 So far 21 36 41 61 77 148 197 213 245 294 302 335 358 395 437 538 574 599 604 613 people have subscribed to our blog. spirituality, the gospel and family tips for growing in faith -- each week written by a different staff member. Click on the picture to the left to see more…or CLICK HERE to sign up. Who is Saint Bernard of Clairvaux?